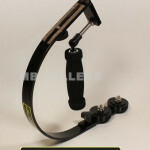 View Cart → "Glide Gear SYL-3000 Camera Stabilizer" was successfully added to your cart. MB Sellers © 2019. All Rights Reserved.